The winner of Fairview Hospital's Physician of the Year award in 2011 was our very own Dr. Raymond Horwood. 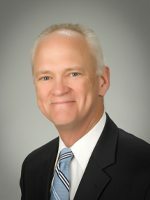 Dr. Horwood specializes in knee and hip replacement surgery, shoulder disorders, and general orthopaedics. He has been a part of the OAI team since 1987 and sees patients in Westlake, Lakewood, and Avon, Ohio. Make an appointment today to see Dr. Horwood by calling (440) 892-1440.